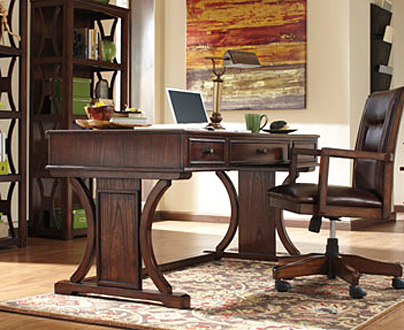 Ashley furniture is smart households’ choice throughout Virginia for a good reason. First, its eclectic styles fit any person’s tastes and home architecture. Crave a Queen Anne coffee table? Done. How about a midcentury modern living room sofa? You’ve got it. 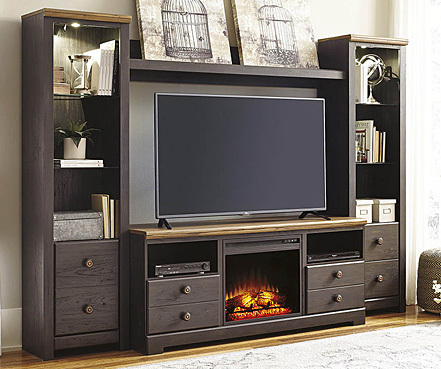 Rustic-theme home entertainment center? Piece of cake. 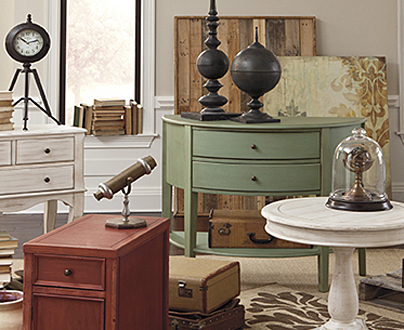 With Ashley furniture, your interior design possibilities are virtually endless! 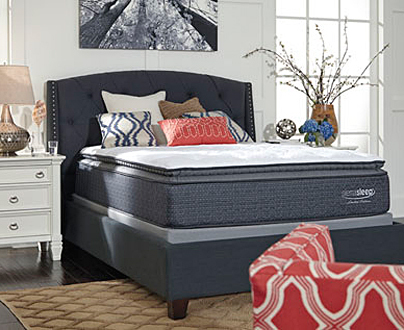 Better still, because this is the world’s biggest furniture brand and thus super-efficient, Ashley furniture enables Roberts Furniture & Mattress to pass incredible savings on to YOU! Give your stressed-out spine the break it deserves after a long day. Plop down comfortably in Ashley living room furniture. 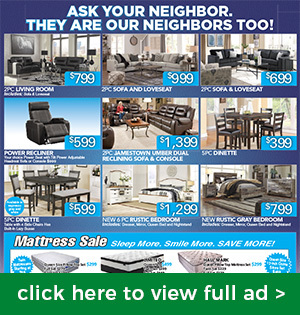 For instance, our customer’s-choice power lift recliner from Ashley has unparalleled ease of operation, smoothly rotating to your favorite position, plus it’s got scientifically proven lumbar support. 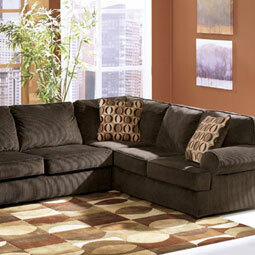 Better still, enjoy its fine, durable upholstery in your choice of fabric color. For the modern bedroom, amenities such as trim nightstands with USB chargers are more and more valued. That’s why Ashley bedroom furniture includes them in a dazzling choice of collections in styles from French provincial to New England gray, many with attractive veneers married to rock-solid engineered wood. Our favorite Ashley queen bed set includes a storage bed with built-in drawers and cubbies, topped off by a dark, dignified finish. Even though our 21st-century lifestyles are increasingly stressful, isn’t it about time you sat down as a family for a good home-cooked meal and not just for the holidays? 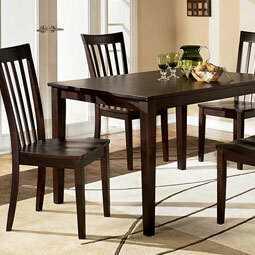 It’s easy and fun if you make room for Ashley dining room furniture. This brand’s extension tables and other furnishings are lovely to look at but first and foremost are intended to be USED. Our top-selling Ashley dining set boasts an extension table you can “shrink” for daily use plus handsome side chairs all in a lovely medium-brown finish. Enjoy a lovely dining buffet so serving bowls stay out of your guests’ way, and show off your wedding-gift dishes with this Ashley set’s exquisite china cabinet. When you buy Ashley furniture at our Winchester, VA store or any of our other fine locations, you can sit pretty on your new furniture because you know you saved a bundle.